As part of our Trees of London 2018 Project, supported by the Mayor of London. We took part in an interfaith tree planting initiative last week, with St George the Martyr Church, London Quakers, Southwark Council, Faith in Society Ltd in memory of godfather of religious toleration, Henry Jessey, a priest at St George the Martyr who, as a member of the Pilgrim Fathers (Brownist) church, campaigned as early as the 17th century for toleration of all religions, including Jews and Muslims, and in particular campaigned for the readmission of Jews into England. 2020 is the 400th anniversary of the Mayflower sailing across the Atlantic. The Mayflower story and Southwark’s role in that historic voyage are deeply intertwined. 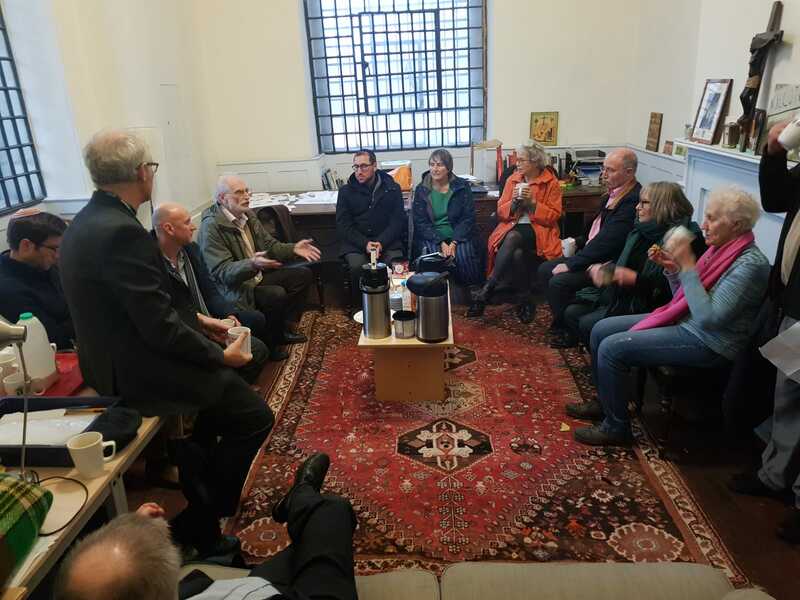 Rotherhithe, Bankside and Bermondsey have strong Pilgrim-Mayflower links from the first Brownist Church and other Pilgrim churches, to the place Christopher Jones, the captain and many of the crew lived. A tree was planted by representatives of several faiths. 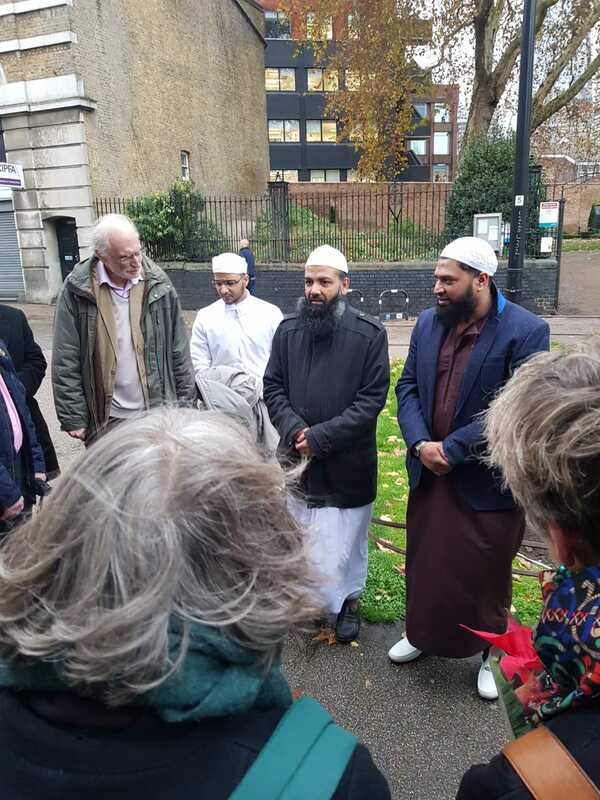 Invited to attend by Southwark Council are Imam Muhammad of the local mosque, Jonathan Sedgwick of St George’s, Rabbi Morris of the Bevis Marks synagogue (on whose site in Aldgate the Pilgrim Fathers met in 1620 to plan the voyage) and Peter Stevenson of Crossway Church, nearby, the remaining descendant of Southwark’s Pilgrim Church of 1620.